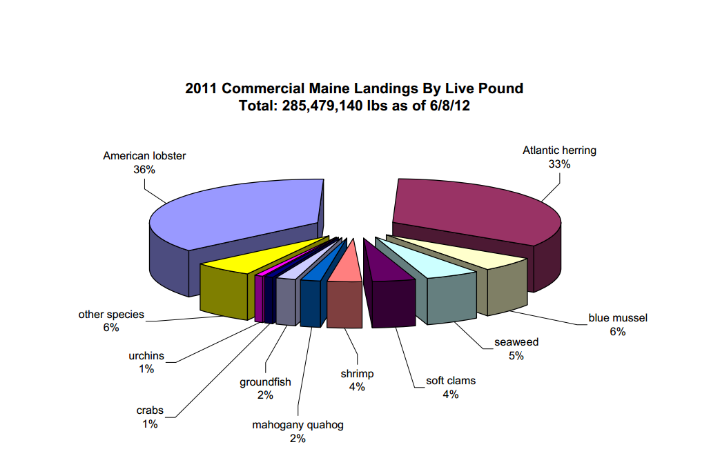 Today lobster pot buoys are made of a hard flotation foam and bought at marine supply stores. Fifty years ago, they were made of wood and had to be turned round on a lathe to give them their shape. 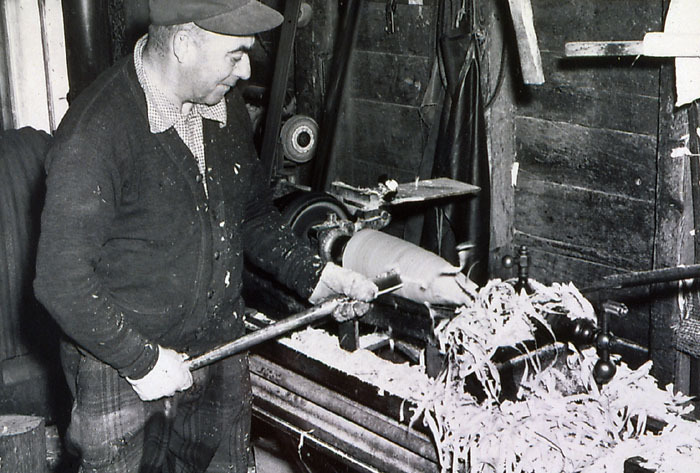 Earlier buoys were carved by hand using a hatchet from squared off pieces of wood. 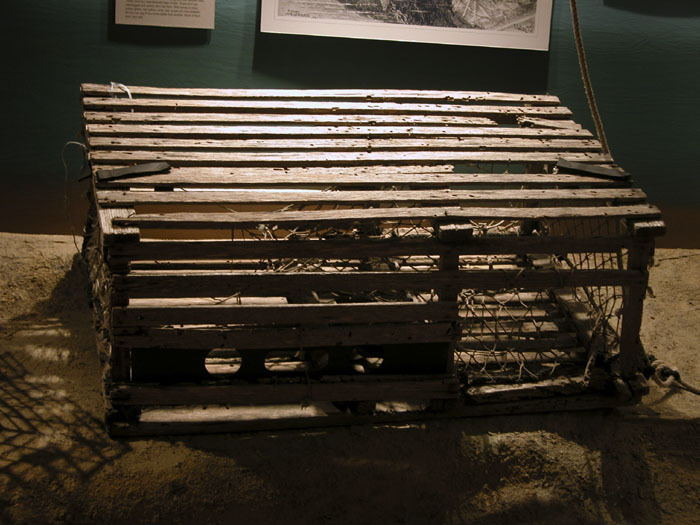 The wire lobster trap began replacing the wood lath pot by the late 1960s. It is much lighter and does not soak up water. 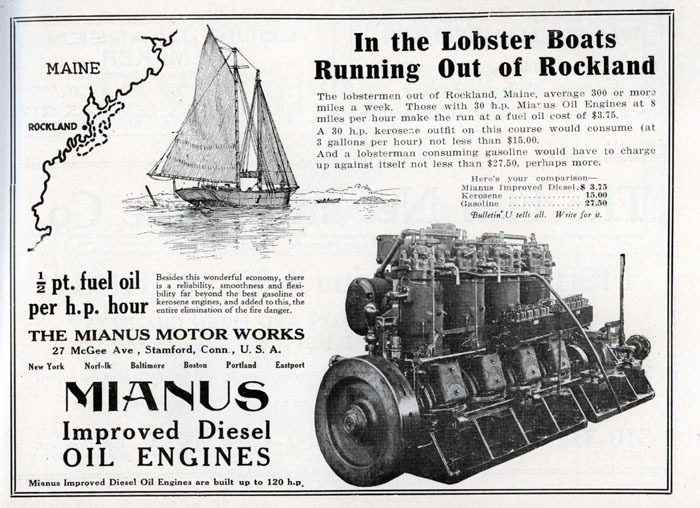 Its maintenance is a matter of replacing the net funnels that direct the lobsters. It is also easier to fit with the escape hatch. 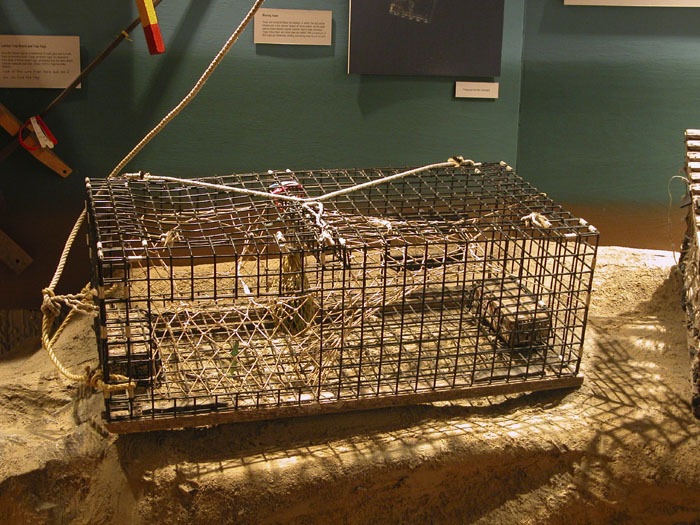 Improved wire coating means that a trap can last for many seasons. 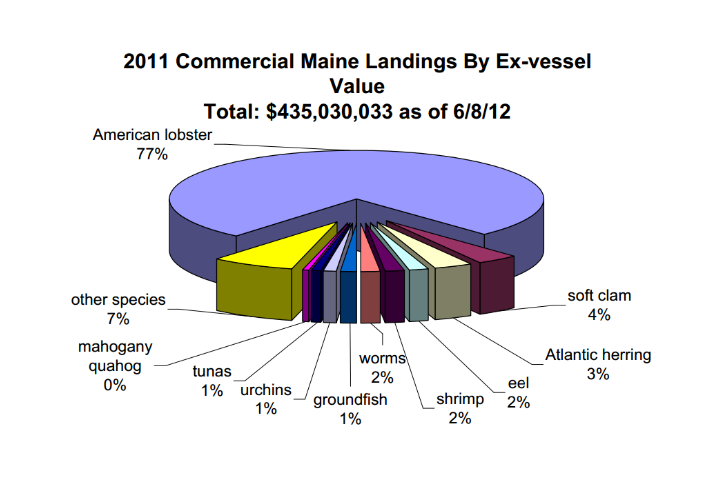 The investment that a fisherman has in a trap ready to fish is about $75 (in 2009 dollars). Some wood lath pots had square (actually rectangular) tops; they were easier to stack than round traps but required more carpentry work. Early wood lath pots had rounded tops, formed by a bent stick at the ends. The half-round shape had the most volume for the least amount of weight of the pot. It also was more stable on the sea floor. 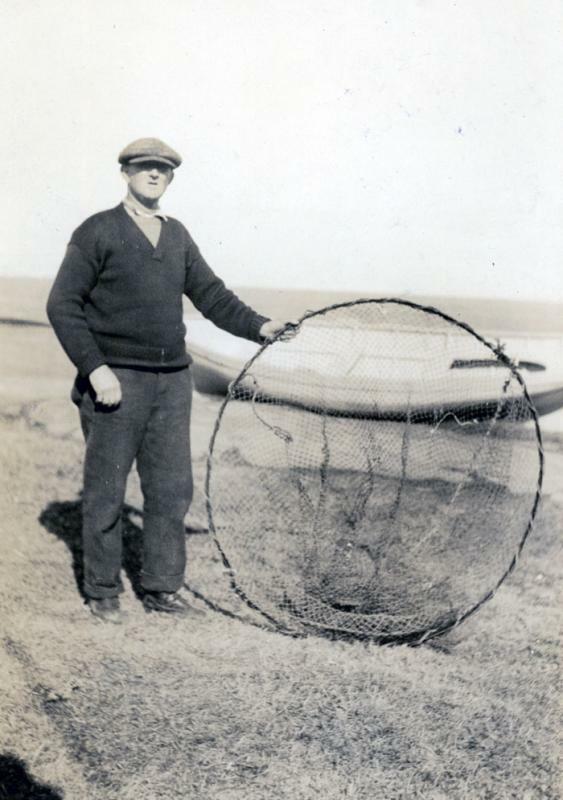 It could be built relatively quickly by the fisherman. Later pots used steam-bent round frames. Bricks on the base ensured that it landed bottom up. These traps had a limited lifespan, soaking up water and being susceptible to worm and other marine life damage. After a season of use, the soaked traps were quite heavy. 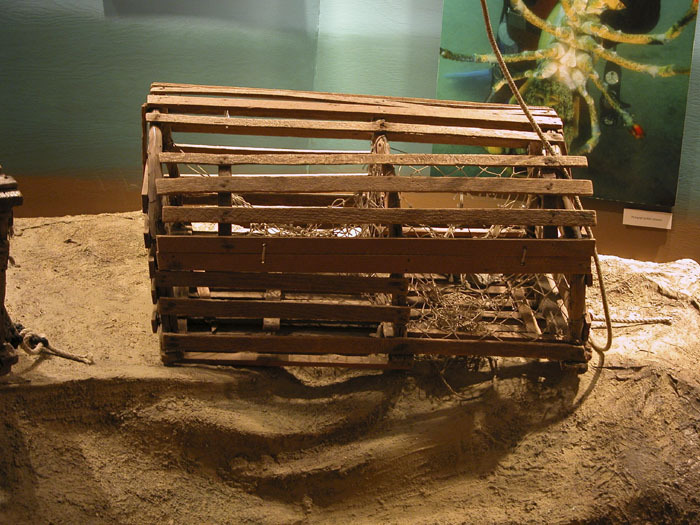 Hoop nets were used in lobster fishing before wooden lath pots were developed. They were set flat on the bottom with bait attached in the middle of the hoop. 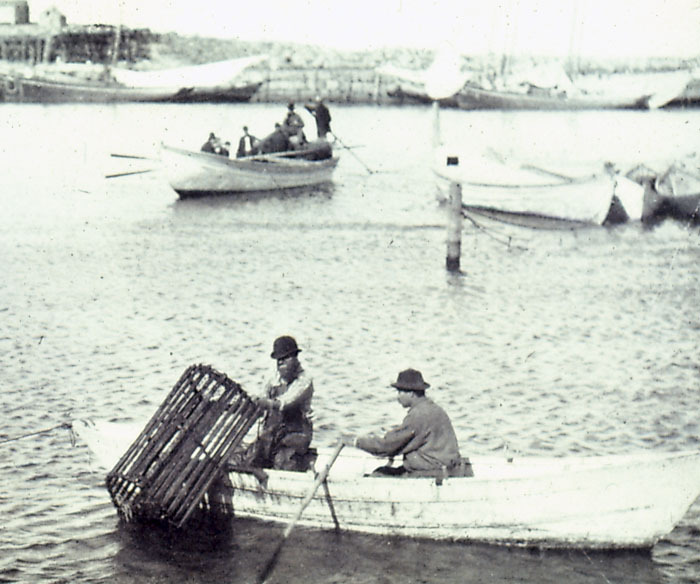 These pots needed to be tended frequently, as the bait was the only thing keeping the lobster from leaving. 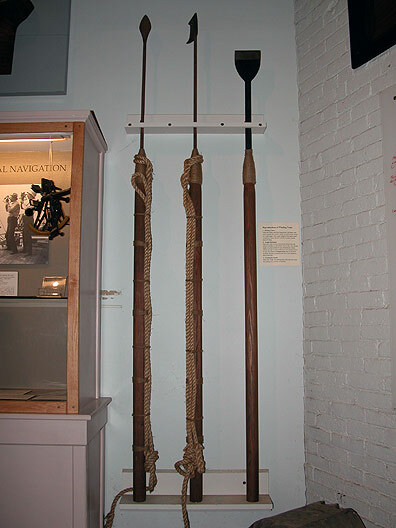 The harpoon (middle tool) was used by whalers to attach a line to the whale. The harpoon typically only went into the whale's body far enough to hold onto the whale, but not far enough to kill it. After the whale was tired out by pulling the whaleboat, the crew carefully rowed up alongside the animal, so that it could be killed using the lance (left tool). The spade was used to cut the blubber from the whale. These are reproduction tools.